"This will be a good fight because this will test if I have really improved my wrestling. Lowen Tynanes is something else, he has good wrestling and a high-level athlete. He's a very well-rounded martial artist," Banario conceded. "It's a big challenge for me to get in the cage with him. My team was surprised when we found out that he will be my first opponent for the ONE Lightweight World Grand Prix. But we have a lot of time for training so we came up with a game plan to beat him." 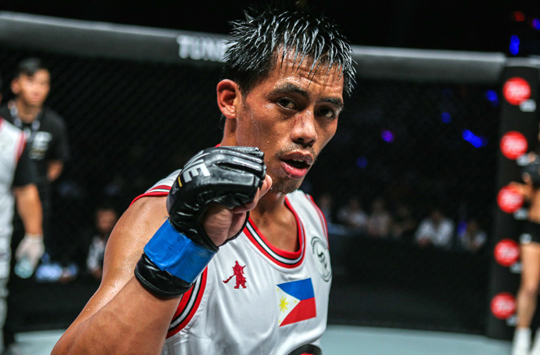 "I have huge respect for him as a mixed martial artist," Banario stated. "I think Tynanes will attempt to take me down, so I have to defend his takedowns and do my best to keep it standing."